The multivariable transmitters in the 266CRH with remote diaphragm seals calculates the mass flow for gases, vapours and liquids with dynamic flow compensation directly from the three process variables of differential pressure, absolute pressure and temperature. 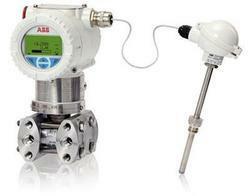 Absolute pressure transmitter from ABB offers a broad variety of communication possibilities. Another highlight of our sensors is the measurement accuracy up to 0.04 %. 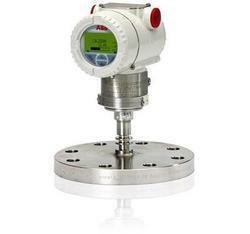 Model 266RRT is the top performance absolute pressure transmitter manufactured in DP Style suitable for measuring liquid, gas or steam flow as well as level, pressure and density characterized by the remote seal on the high pressure side. The compact transmitter class for absolute pressure within the 2600T series. The reliable sensing system with the very latest digital technologies, provides a large turndown ratio of up to 20:1. This transmitter features in-field replaceable electronics module that thanks to the auto-configuration functionality dramatically improves plant productivity. Its intuitive plug-and-play display with easy setup procedure really helps users by saving time and lowering maintenance and inventory costs. Moreover, the innovative TTG (Through The Glass) technology allow users to configure the instruments in the field without removing the windowed front cover and consequently to save a lot of time setting all parameters by using the finger tips in few minutes. In addition, 266DSH features Plugged Impulse Line Detection as standard helping customer in detecting when the impulse line are going to be plugged. This is real predictive maintenance. SIL2/SIL3 certification issued by TÜV Nord according to IEC 61508 represents another key-feature within 266 pressure transmitter portfolio. This certification is a real guarantee of protection and makes of 266DSH the smartest fit in Safety-critical loops. 266DSH features WirelessHART communication protocol allowing the addition of pressure measurement points throughout your operation. You can now monitor hard-to-reach locations and keep your employees out of dangerous and hazardous areas. The 266 WirelessHART Pressure Transmitters have a battery life of about 10 years at 32 sec update rates, delivering a very cost-effective and reliable solution to monitor your process assets. Shorten installation times by eliminating complex wired infrastructures, and lower overall implementation costs of process measurement, with ABB wireless devices featuring WirelessHART communications – Measurement made easy. 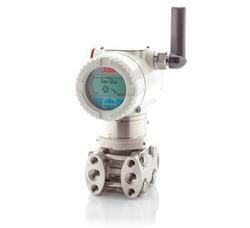 The Gauge pressure transmitter portfolio from ABB offers a broad variety of communication possibilities. Another highlight of our sensors is the measurement accuracy up to 0.025 %. With a long-term stability, 266GSH grants lasting performances even in extreme ambient and process conditions. In addition to the traditional configuration tool (provided locally via local keys combined with LCD indicator or via hand held terminal or PC configuration tools) the innovative TTG (Through The Glass) technology allow users to configure the instruments in the field without removing the windowed front cover and consequently to save a lot of time, highlighting ABB commitment to satisfy users’ needs of simplicity and flexibility. SIL2/SIL3 certification issued by TÜV Nord according to IEC 61508 represents another key-feature within 266 pressure transmitter portfolio. This certification is a real guarantee of protection and makes of 266GSH the smartest fit in Safety-critical loops. 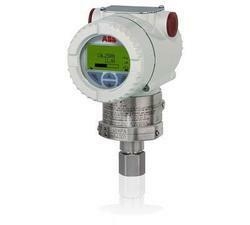 Looking for ABB Pressure Transmitter ?